When a party wins everything, as the GOP has in Texas this year, it gets almost everything its way. It also has everything to lose. 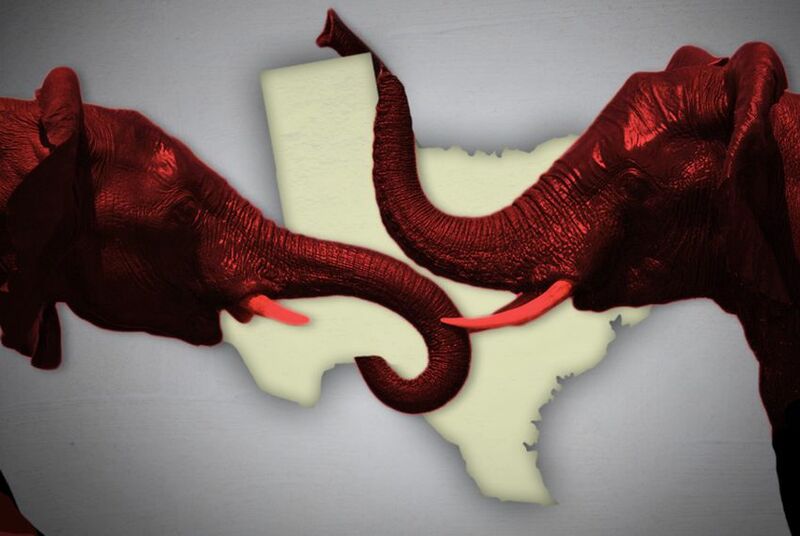 It’s been more than 25 years since either party had a supermajority in the Texas House, but the Republicans are on the lip of it. The status upgrade matters far beyond bragging rights. It forces new strategies for the legislative session in January and will ripple into the 2012 election. When a party wins everything, as the Republicans have in Texas this year, it gets almost everything its way. It also has everything to lose. The rules at the Capitol are set up to make some sorts of legislation more difficult to pass. It takes two-thirds of the House, for instance, to tap the state’s Rainy Day Fund, which is expected to top out at $9 billion this year. With a biennial shortfall estimated at $20 billion, give or take $5 billion, scrounging budget-writers and state leaders are already warning lawmakers not to use all of the Rainy Day money. Not to worry: The conservative supermajority is more likely to make drastic cuts than to make withdrawals from our savings account. It takes two-thirds to pass amendments to the state Constitution on to voters. Those same scroungers have talked about legalizing casino gambling or at least slot machines, and the resulting taxes and fees could raise $1 billion or more for the state treasury. The current political maps for the House were designed to elect up to 90 Republicans — on a good day. In 2002, the first election after district boundaries were drawn, Texans put 88 Republicans in the House. Since then, they’ve dropped to 87, then 81, and then — when Barack Obama was running for president and Democrats turned out in droves — to just 76. One of those Democrats has since switched parties, so the partisan divide before last Tuesday’s election was 77 to 73. The most optimistic forecasters hoped that this year, when Obama’s stratospheric disapproval rating in Texas sent Republicans flocking to the polls, the GOP would get back to that 2002 high-water mark. It blew right past it, taking 22 seats held by Democrats and getting within spitting distance of one more. Even if a recount in that race goes the incumbent Democrat’s way, the new breakdown will be 99 Republicans and 51 Democrats — one vote short of two-thirds. The last time either party had such an overwhelming advantage was 1984, when Democrats had 111 members. Tuesday’s results will color the issues expected to dominate the session: budget and redistricting. Conversations about new taxes, fees and other revenue streams that might help balance the budget could be stifled. The Republicans are positioned to draw redder political maps, based on something closer to their current numbers than to the near-even split in the lower chamber two years ago. And it will be easier for proponents of nativist immigration legislation to win passage of bills that have been blocked in previous years. The election moved the pendulum to the right, shifting the ground under Speaker Joe Straus, R-San Antonio, and possibly removing a moderate check on the Senate. In 2009, the House locked over voter ID legislation that had been passed by the Senate. The change in the House probably makes that sort of tempering effect impossible this time. That’s where the risk lies for the Republicans. Budget cuts are sometimes more popular in theory than in practice, and the shortfall is too big to manage with trimming — it will require hacking and slashing to make things balance. Drawing maps for a Republican majority won’t be difficult, but it will be difficult to assure all 99 incumbents that their spots are safe. And (this is one the Democrats nurture, but have never been able to back up with actual results) immigration and related issues could motivate Hispanics, who don’t vote in proportion to their numbers in the state's adult population. Straus has moved quickly to grab the votes of the newly elected. A dozen and a half of the Democrats defeated on Tuesday night were pledged to vote for him for a second term as speaker. Less than 24 hours after the polls had closed, he announced he had pledges from at least 128 of the 150 members. Straus, originally elevated by Democrats and a dozen renegades from his own party, thinks he can win his leadership post again even if the House breaks tradition and holds the election in the Republican caucus.